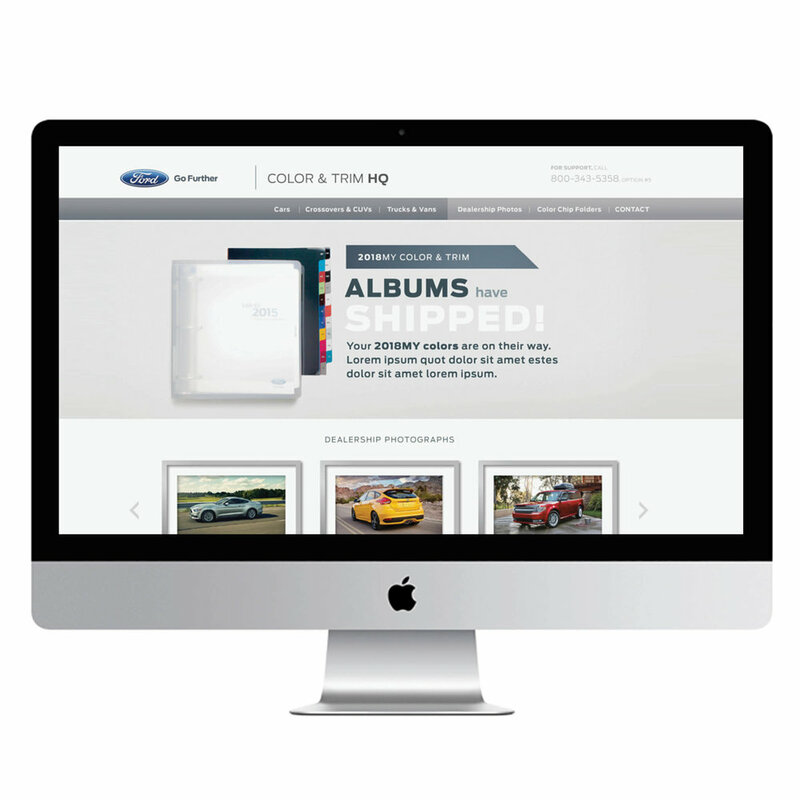 We designed the interface and UX for Ford's first-ever dealership-facing Color & Trim website. This website is accessible only by current Ford dealers, allowing them to preview the color, trim and paint options and customer-facing dealership support materials for upcoming model years. We worked with the design team at The Park, GTB's in-house design team, to conceptualize a series of print ads which speak to the marriage of technology and beauty in the new Ford Fusion. With the release of the newly-designed Ford Fiesta, Ford wanted to convey a vibrant city car that's packed to the brim with technology. 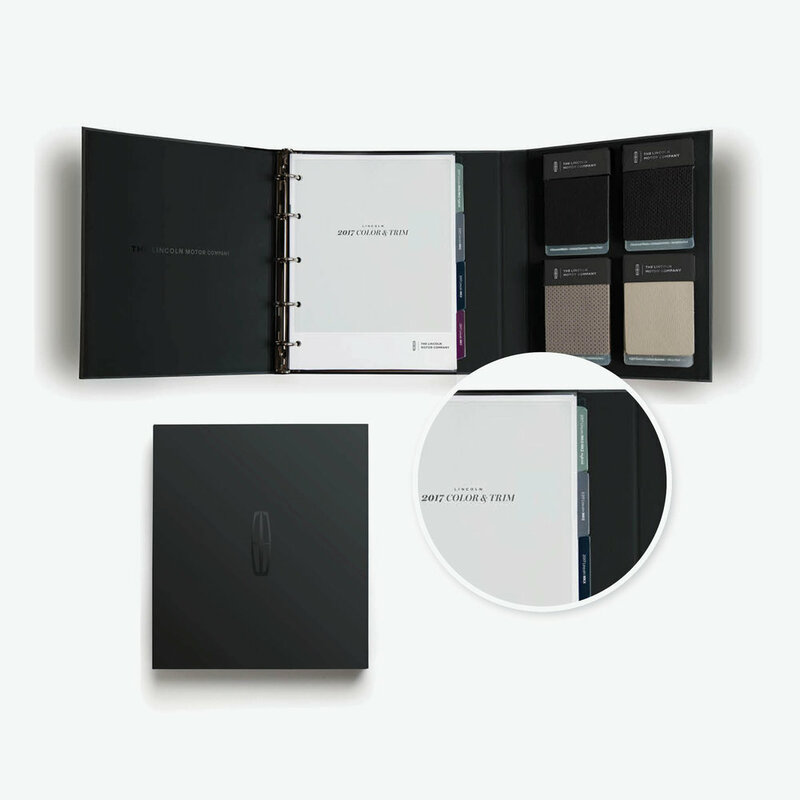 We designed an interactive brochure which featured custom folds, fan-out paint swatches, and more which was handed out at the International Auto Show. 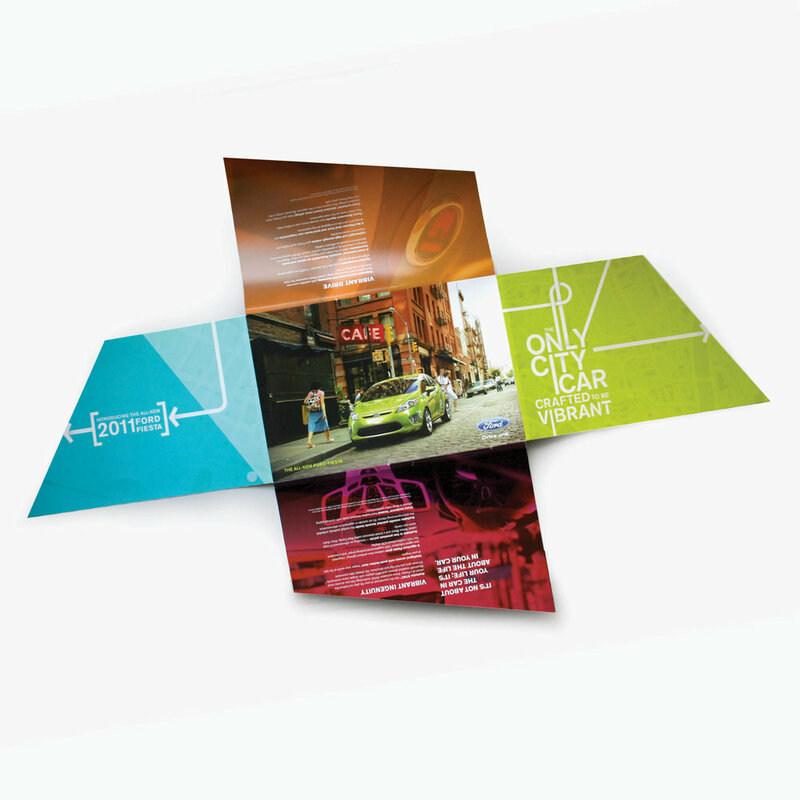 The brochure was so successful that Ford re-printed it at a smaller scale to use in dealerships. This luxury brand needed a high-end way to display car finishes, leathers and other custom options within their dealerships. 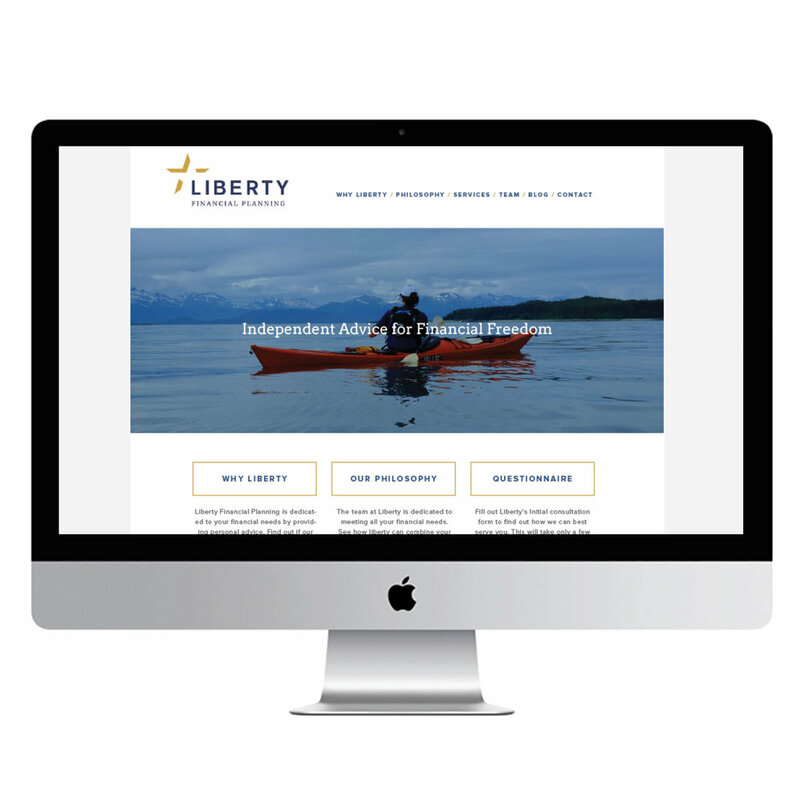 We worked with a team at GTB to produce digital and printed collateral for Lincoln and Ford. We worked on-site to create a 50-foot chalk wall installation in the lobby of Detroit-based GTB (Global Team Blue). The mural contained three typography-based compositions inspired by content that they provided. 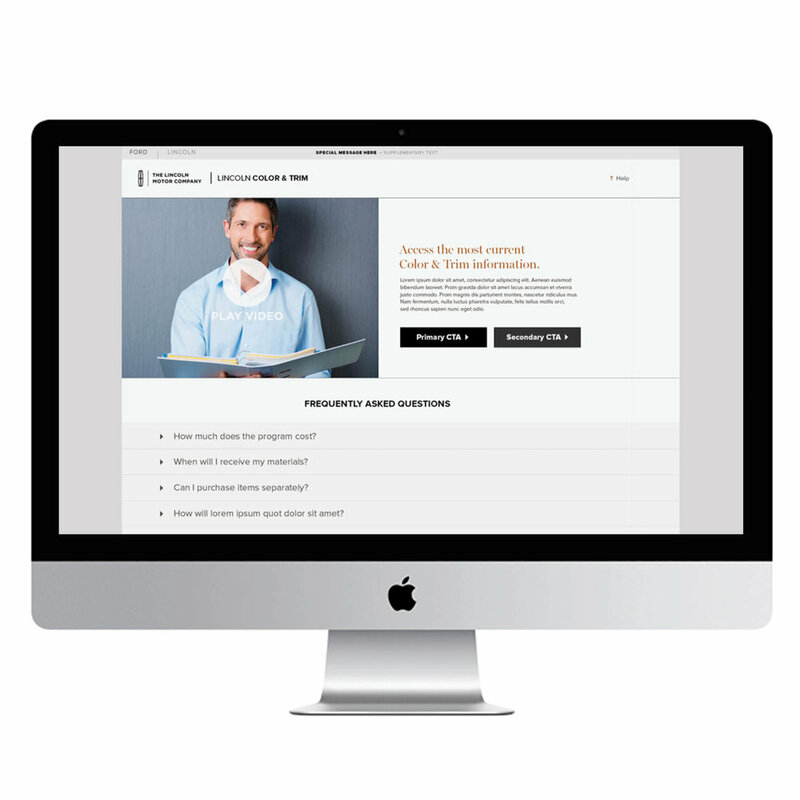 We designed the interface and UX for Lincoln's first-ever dealership-facing Color & Trim website. 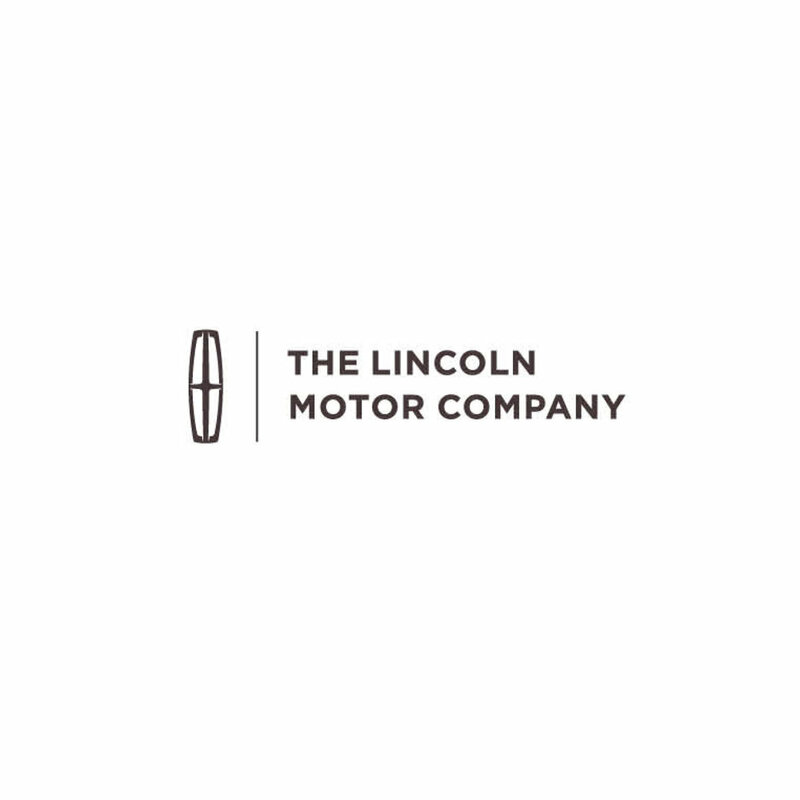 This website is accessible only by current Lincoln dealers, allowing them to preview the color, trim and paint options and customer-facing dealership support materials for upcoming model years. 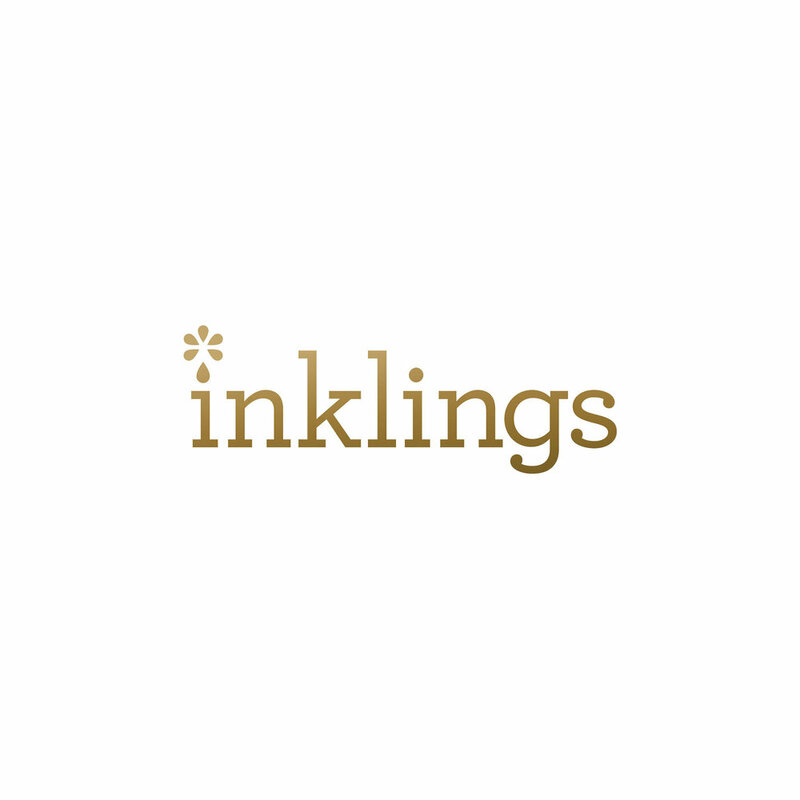 Inklings is a stationery and lifestyle brand based out of Metro Detroit. 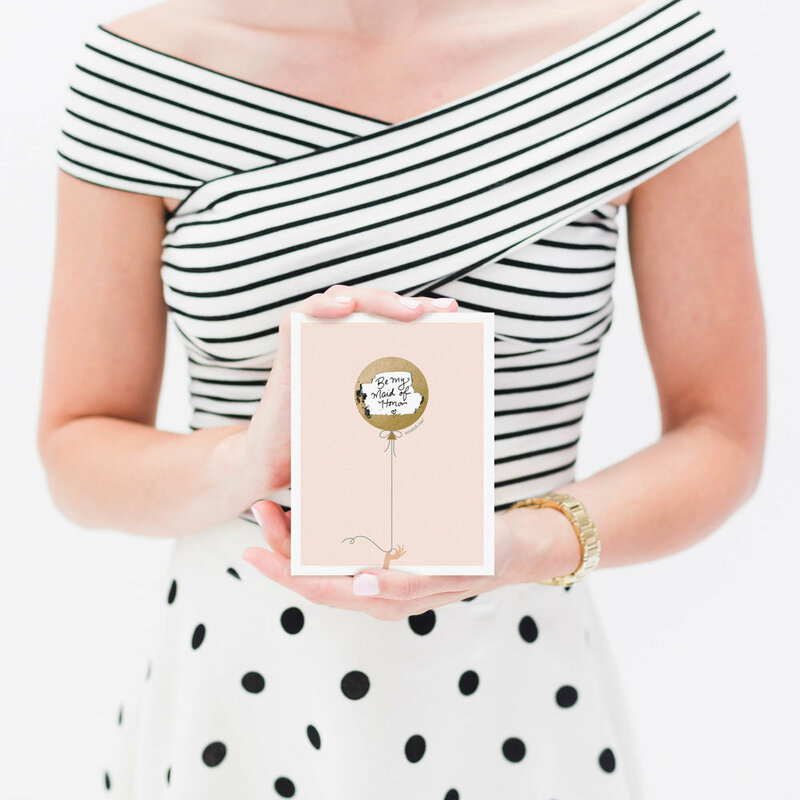 Created by designer and founder Lindsay Henry, this award-winning brand produces a line of stationery that is carried by over 300 retailers internationally including Anthropologie, Target and Paper Source. 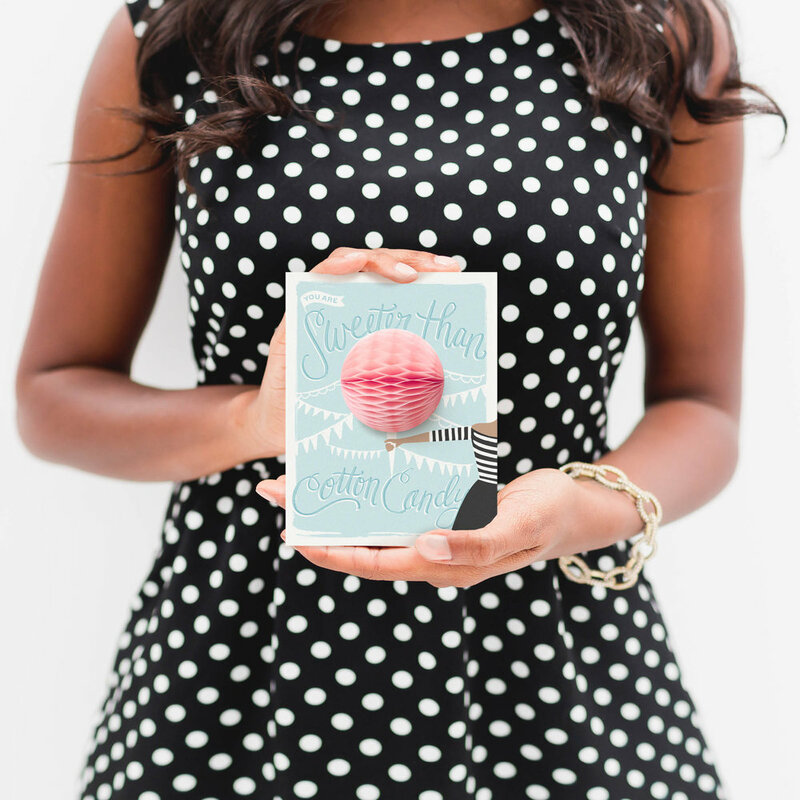 Pop-up greeting cards by Inklings feature dimensional honeycomb pop-ups which the recipient can expand. We photograph all products right here in our studio along with all marketing materials (catalog, direct mail, packaging, e-mail marketing and social media content). This charming line of award-winning scratch-off greeting cards by Inklings Paperie includes a range of over 100 card designs, all of which users can scratch to reveal a hidden message within. What's more fun than a scratch-off? 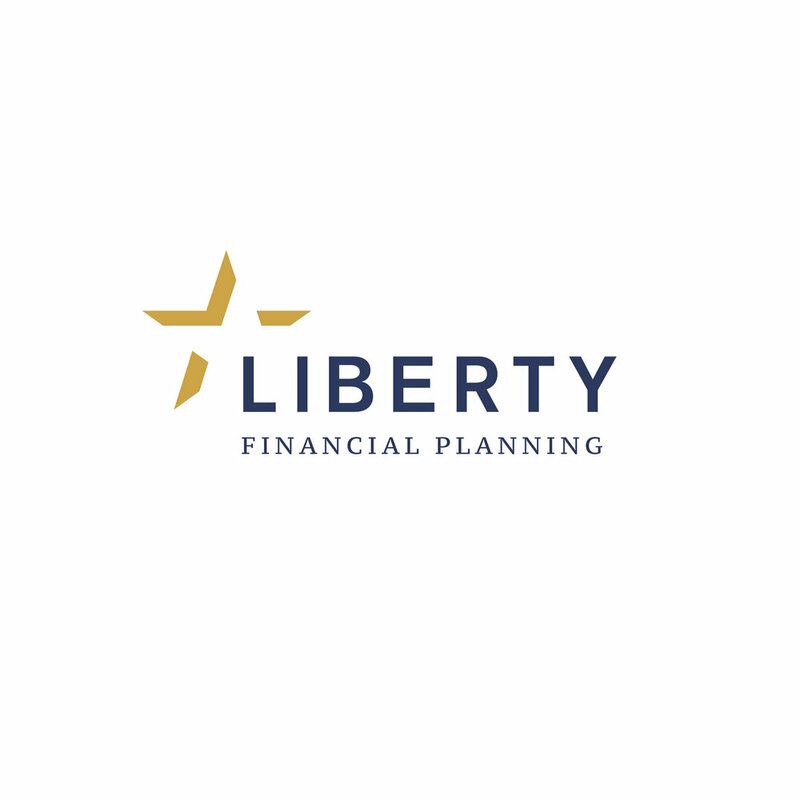 Liberty Financial is an established independent financial planning firm located in Metro Detroit. 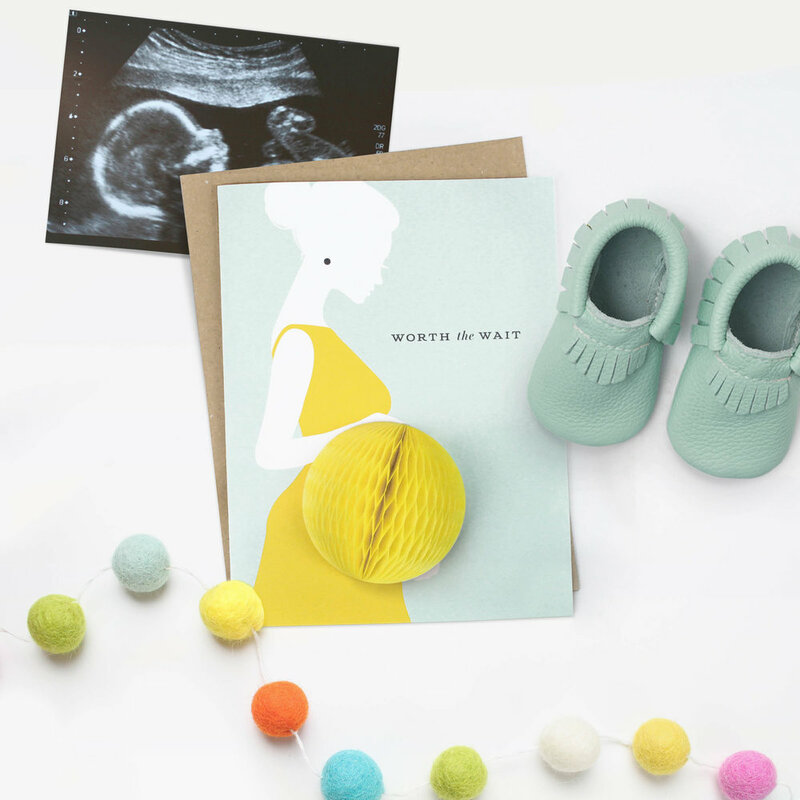 They came to us seeking an update to their dated brand look in order to create more cohesive branded materials that would better position them for growth within their industry. 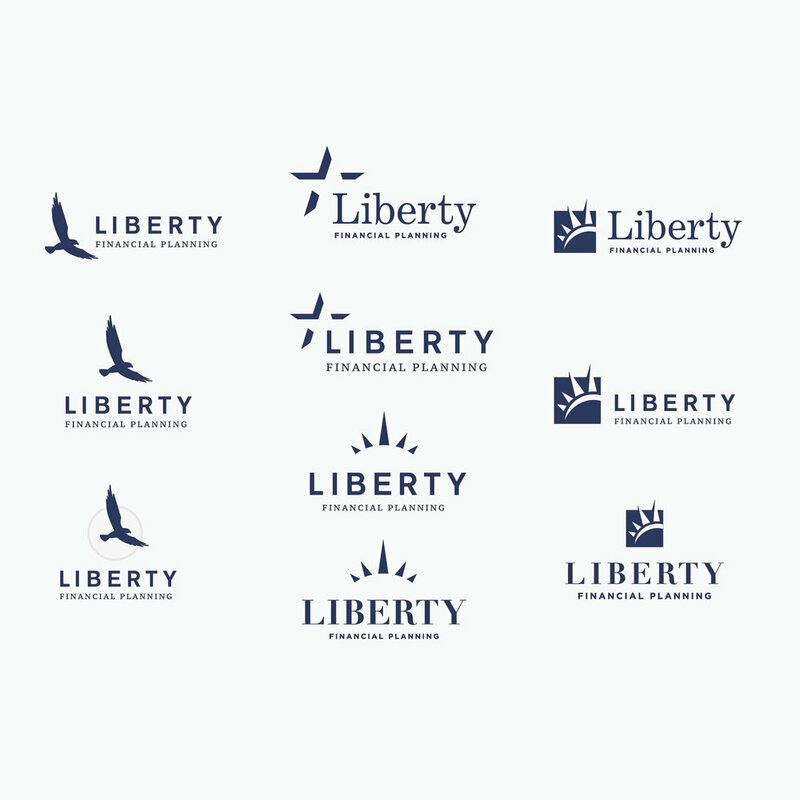 Here's a look at some logo designs we presented to them during the design process. 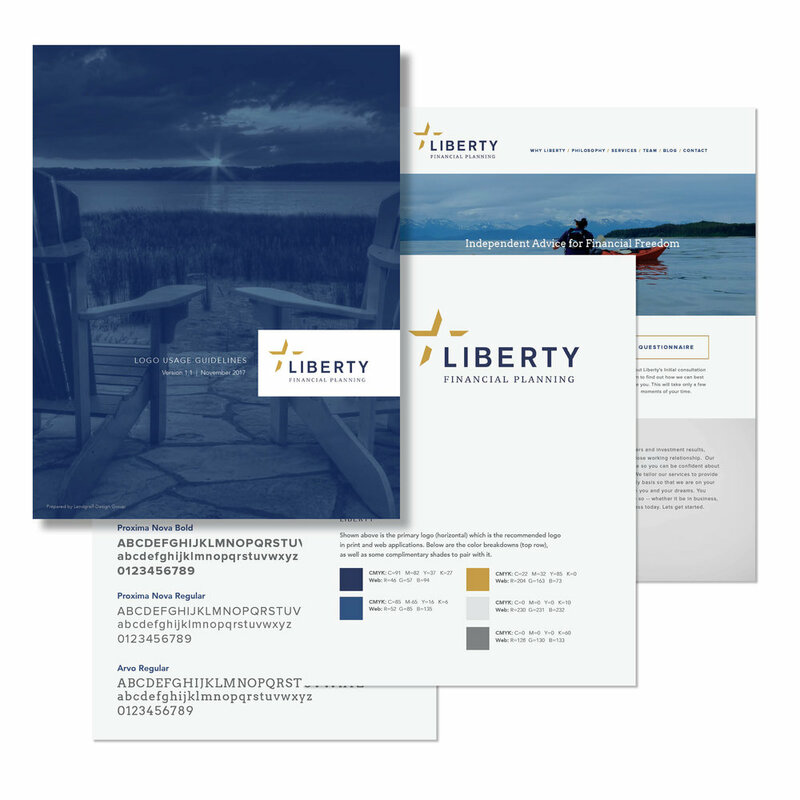 We created corporate brand guidelines for Liberty Financial Planning in order to help them more consistently use their newly-designed brand in all client-facing materials. Their brand story included logo usage guidelines, their brand color palette, font guidelines, and examples of their new brand in use.